Calendar January 2018: 10 FREE Amazing Prints! 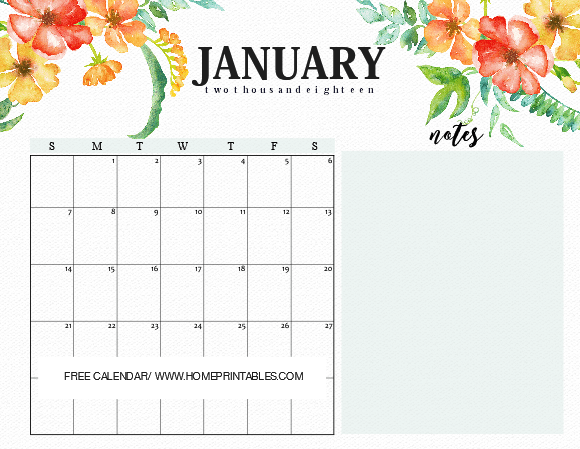 We’re sharing away an amazing set of calendar January 2018 printables today! If you’re now thinking of planning the first month of the year ahead, scroll down to see the 10 lovely designs that we created for you. Grab them up for free right away! 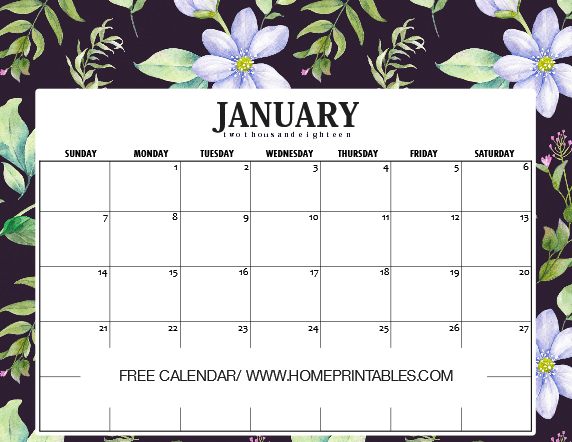 What a lovely day to be posting our free calendar January 2018 printables on the blog! As the new year is fast approaching, our excitement to share our organizers are also mounting! Our January plans should be ready as we welcome the first month of the new year right? Here are 10 calendar designs that we have created for you to enjoy! As always, we love to create calendars for you. If you’re following us, this has been our third year of sharing monthly calendar planners. 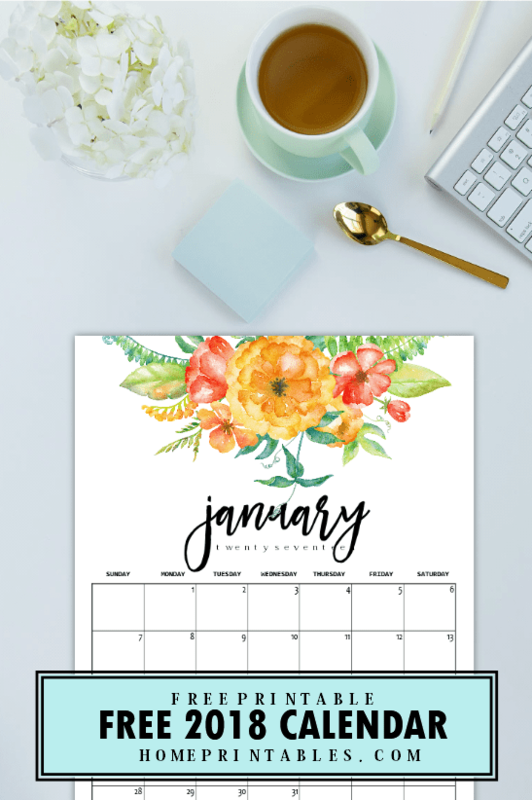 For January 2018 calendar edition, we have incorporated some amazing graphics from Creative Market in creating the calendars to prettify the pages. Are you just as excited as we are to view the calendars? 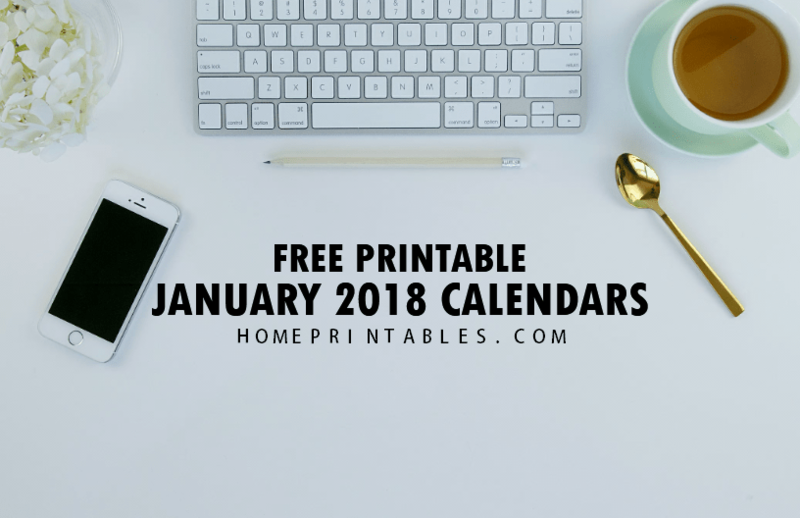 Friends, we would like to present to you the free printable January 2018 calendar set by Home Printables blog. Please enjoy your free copies. It’s time to pick what you’ll be using for the month! We’re starting out this quick calendar roundup with this simple vertical calendar adorned with cottage flowers. We love that this particular style looks oh so refreshing. Definitely a great calendar to use to start the year bright! You can use this calendar to organize your schedules in your household or even in your workplace. 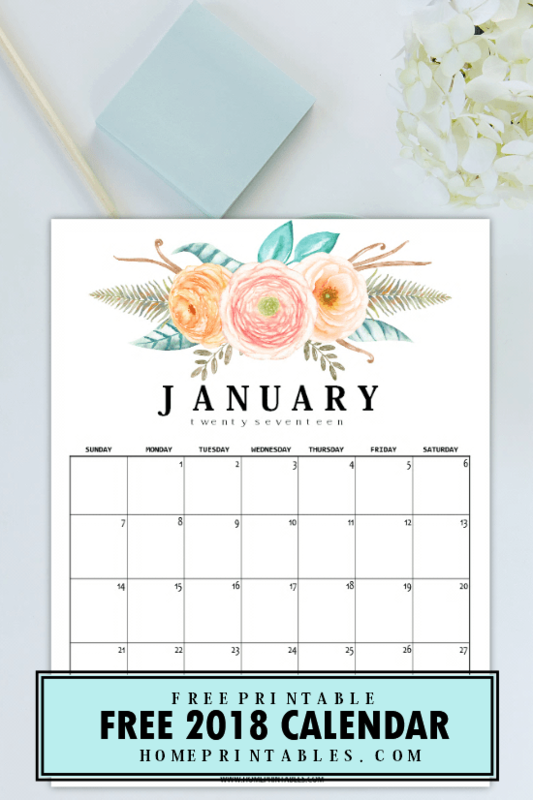 Friends, the next free printable January 2018 calendar that we’re giving you is another floral one but this time, with a good room for your personal reminders for the month. It doesn’t look clearly in preview below but this particular calendar actually comes in light paper-textured background. Moving on, the third calendar that we’re showing you is a dainty number! Look at that delicate watercolor florals in prettiest shades of pink and turquoise. Aren’t they amazing? And oh, just like the calendar we shared above, this next January 2018 calendar printable also comes with a lined section for your reminders! Some believe that using clothes with polkadots during the new year signifies prosperity. Should you like to give it a try, here’s a cool print that you can use. This January 2018 calendar comes in organic dotted background. Print this out for yourself or the kiddos in your life! We just love this particular calendar design. It has the prettiest and boldest floral background ever! As for us, this calendar is great to use in organizing your creative ideas especially for our month-long blog posts. How about you? Where do you intend to use this? Just a tip: Print this off for your coffee table! 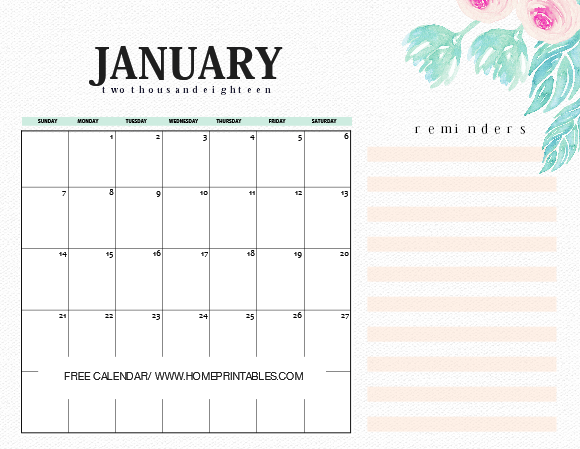 Moving on, the next free printable January 2018 calendar that we’re showing you is a pretty and minimalist one. 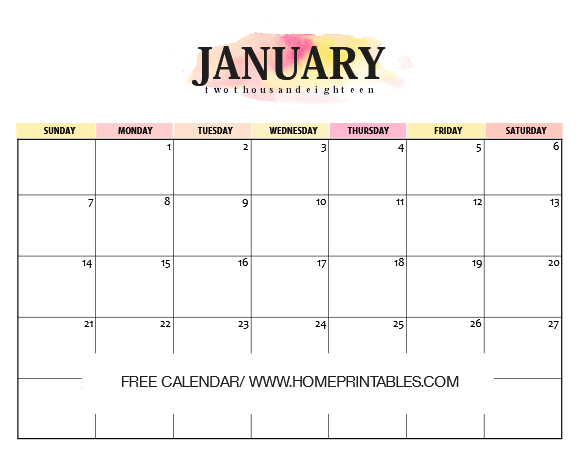 Print this calendar if you need a design that looks clean and that is less on ink! You can use this as a meal planner and work organizer! This next calendar has the cutest print that we believe the kids in your life will love! Get this calendar for the school kids and use it to help them organize their school activities. This calendar can also be used as a homework log, examination scheduler and more! It makes a great addition to their student binder! We’re ending our calendar showcase with this darling design! We love that this particular calendar comes out bold and beautiful yet seemingly simple. Ahh, how ironic. Get this calendar for yourself, friend! Definitely a cheerful planner to use to start your 2018 right! 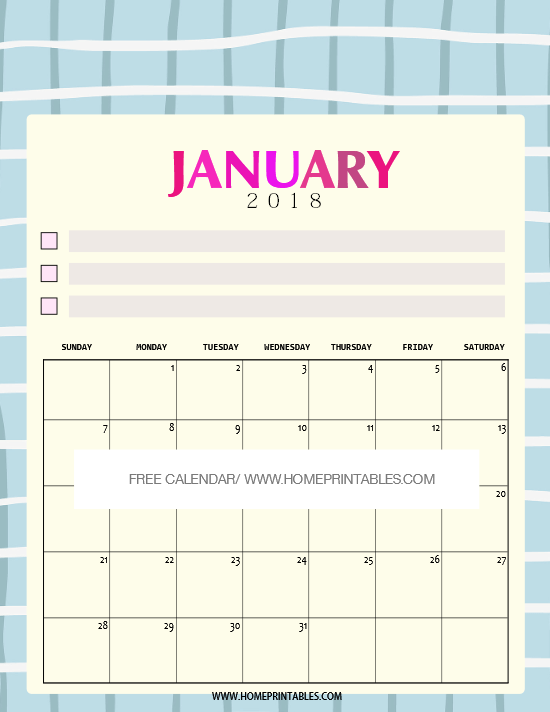 GET YOUR FREE CALENDAR JANUARY 2018 PRINTABLES! Ready to print your calendar? Which one is your favorite so far? Sign up for our newsletter HERE to receive your free calendars right away! Once your subscription is confirmed, you will instantly receive your files in PDF. Your also subscription entitles you to receive our freebie updates! Note that these calendars are designed for a standard letter size paper printing! 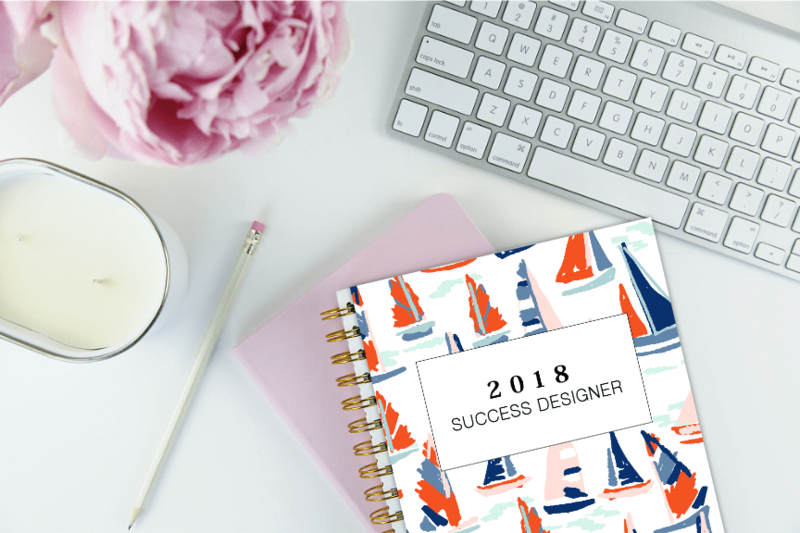 CHECKOUT THE 2018 SUCCESS DESIGNER PLANNER & MOM PLANNER! Deciding of finally get more organized and productive this 2018? We have great recommendations for you! You might want to checkout the 2018 Success Designer which is a life organizer designed to keep your focus, design your success and achieve your dreams. This planner has over 60 goal-accomplishing worksheets! View the planner here. And of, if you’re a mom, don’t miss the popular Every Mom’s Planner created exclusively for a momma like you. The planner will help you manage your finances, home and family blissfully. View this planner here. SAVE THIS POST, PIN IT FOR LATER! Please take a second to help us spread this freebie by pinning the image below. You’ll help us grow the Home Printables blog that way! OTHER RECOMMENDED FREEBIES FOR YOU! Here’s a shortlist of the current most loved free planners on the blog that will help you jumpstart your year. Enjoy these freebies, friends! 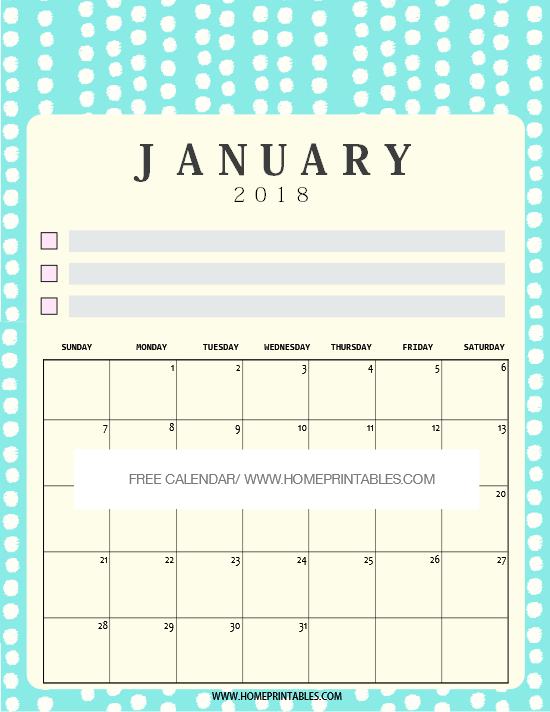 Are you going to use these free calendar January 2018 printables? Please let us know at the Comments, we love to hear from you!